"Today (Tuesday 30 April) it has been announced that the takeover deal between Daewoo Motor in Korea and General Motors has been signed. GM is clearly planning to maintain the Daewoo brand in Europe and Daewoo Cars Ltd (DCL) management will now commence working with a GM taskforce to create a new UK sales operation." "The terms of today's announcement indicated that DCL in the UK has not been included in the terms of the deal that relate to the transfer of the shares of individual sales companies. However, the future of the UK business is confirmed as GM and Daewoo in Korea will work with DCL to manage a prompt transition of the UK sales business to a new company." 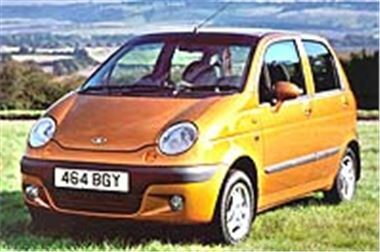 "GM remains committed to the Daewoo brand throughout Europe and the UK and customers can be fully reassured of a continuation of sales and service provision." So anyone with a Daewoo should stop worrying, and at auction from now onwards bidding on Daewoos should get more competitive.